I wanted to wait some days before actually writing something about what Apple has announced, I think letting some water flow under the bridge before writing brings a little bit of more objectivity, and I hope thats the case of this post. Two new versions of the iPhones, one with a 4,7″ screen and another with a 5.5″screen called “Plus”. Both models bring the new A8 processor, more screen resolution, improved camera and they come in 16, 64 and 128 GB. Yes they don’t offer anymore the 32GB version which was an odd choice, I would have expected them not to offer the 16GB model, but thats the way it is. Both models finally offer NFC that (for now) will only work with Apple Pay, something I will talk about below. The main difference between the two models (besides the obvious bigger screen) is that the Plus version offers optical image stabilization for the camera, something that will improve your shots when your hand shakes a bit!. I’ve read on several sites the opinion that the new iPhone 6 is not a big deal, but again, to proof them all wrong, Apple announced that on the first 24 hours of online pre-sale they sold 4 million units, making it the most successful iPhone till now. Officially, everybody (or at least for the ones that got there first) will be able to get their hands on one of these devices on Friday, September 19th in: USA, UK, Australia, Puerto Rico, Japan, Hong Kong, Singapore, France, and Germany. And on September 26th these other countries will follow: Austria, Belgium, Denmark, Finland, Ireland, Isle of Man, Italy, Liechtenstein, Luxembourg, Netherlands, New Zealand, Norway, Portugal, Qatar, Russia, Saudi Arabia, Spain, Sweden, Switzerland, Taiwan, Turkey and United Arab Emirates. 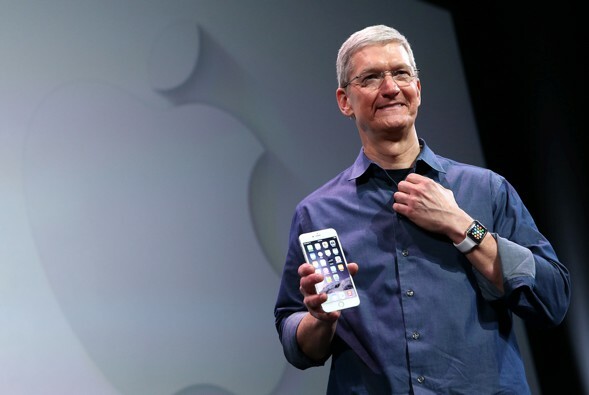 The iPhone 6 4.7″ will start contract free for USD 649. 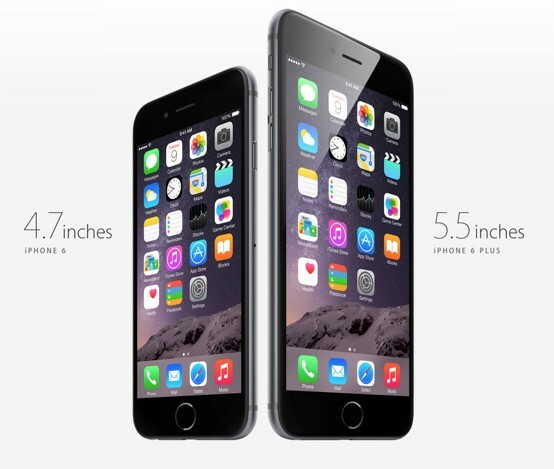 And the iPhone 6 Plus 5.5″ will start contract free at USD 749 both starting models with 16 GB. Check out all the details about the new models together with great images as Apple gets us used to here. And also if you like, this interesting link shows you a comparison of all the iPhone models that are being sold now. After many rumors, and a lot of speculation from the technology world, Apple has announced that in “Early 2015” they will be selling the Apple Watch (nope, the name is not iWatch). The device will be offered in two different sizes, 38mm and 42mm. The idea behind this, is to reach a broader audience so that people with small hands (generally women) can feel more comfortable with a smaller one, while men would usually like to wear the bigger one. The device has a heartbeat monitor that will help you analyze your health together with a new app dedicated for it. Apple watch will only work with your iPhone (not surprised), and you will be able to interact with applications from your iphone directly on your wrist. For example, you will be able to see the turn by turn navigation from maps and receive the indications on when to turn directly on your watch through haptic vibrations that would differentiate left from right turns directly on your skin, pretty cool. Both models will have a sapphire crystal cover, so you should be almost safe in regards of scratches. It offers a high resolution touch screen with a sensor to differentiate when you touch from when you tap with a little bit of more pressure. A lot of the navigation will be done through a digital crown as you can see on the right side of the watch on the image below. Also there will be another physical button below the crown for specific functions (the crown itself, is also a button). It will be charged by a magnetic charger with a MagSafe style, just by surface positioning the charger to the back of the phone. – Watch its made of stainless steel. 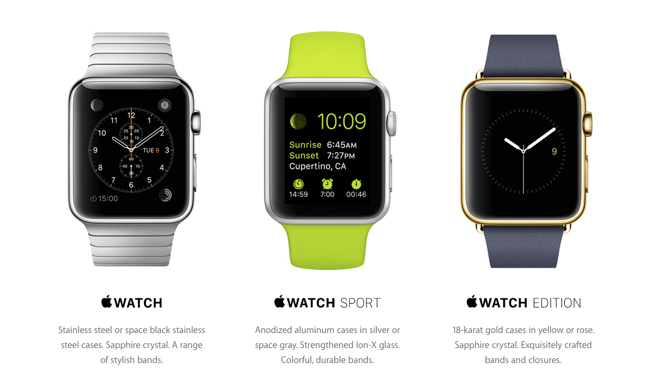 – Watch Sport its made of aluminum so should be lighter. – Watch Edition will be in red or pink gold. To add more diversity to their flavours, you can also exchange your watch bands with multiple options, something I found a very good move from Apple. You can check all the options here. And if you want to see more about the watch itself, check this other link on Apple’s website here. The Apple Watch will have an initial price of USD 350 for the steel version and I guess you will see a price jump if you want the aluminum or obviously the gold version. The first release of the Apple watch seems to be very attractive, Apple decided not to make public some details about the device, for example we don’t know how much the battery will last and rumors say you will not be able to jump into a pool wearing the watch, but it should resists splashes, like the ones you get by washing your hands. I think its a must for Apple to make this watch completely water proof, otherwise it makes no sense. If I wont be able to monitor my sleeping habits (something I wanted to try since a while now) because I would need to leave my watch charging overnight, I think it will not get all the adopters that the watch could get, so lets hope that Apple is still saving some surprises for the official release of the device in the beginning of 2015. Basically, you get to the counter on the shop, you say you want to pay with Apple Pay, you approach your phone (will also work with your Apple watch) to the shop’s payment device and with the touch of your fingerprint you would be able to confirm the transaction. Done! Nothing else needed. Apple already signed deals with the major banks in the United States, and they said they would reach more than 80% of the credit card market thanks to these deals. It will start in USA in October and I guess we will see it expanding over time to other countries while they gather more experience and user feedback. Because Apple Pay uses the new NFC chip incorporated on the iPhone 6, at least for now, you won’t be able to use this payment functionality with any other previous iPhone models :(. You can check the full keynote on www.apple.com, at least you will be able to watch it in full quality and without interruptions contrary to us, the ones that ingeniously tried to watch the event live and completely failed its streaming. What do you think about these new Apple products? Please feel free to comment below.